*Intra-day performance of major assets classes from 10 Oct and 12 Oct 2018. As stocks were hammered, gold acted as a key flight-to-safety asset in the market. Initially, as the US market retreated, gold held steady. But as the sell-off became more systemic globally, gold began to rally meaningfully (see chart above). THANK YOU for helping GoldCore reach our 15th year in business. We were incorporated on this day 15 years ago, on October 23rd 2003, and we are delighted to have reached this milestone and achievement. Over the years, we have been fortunate to enjoy the unwavering support of our families, government mint and refinery suppliers, vault partners, great staff and supportive clients. We are positive on the outlook for gold and silver and regarding GoldCore’s next 15 years. 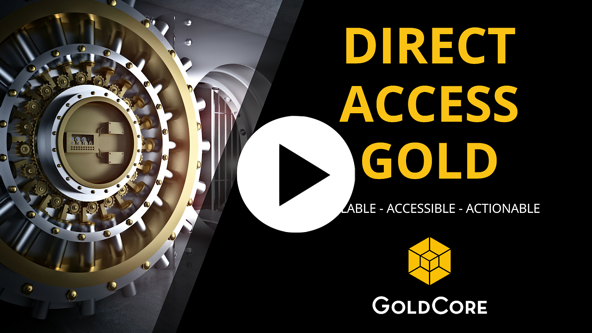 We are excited about the continuing growth in assets in GoldCore Secure Storage (up over 22% this year), the launch of Direct Access Gold and the launch of storage in Ireland in Dublin and other international storage locations in the coming months. Thanks to our excellent staff over the years and our amazing team today. And thanks to our community for your support and our clients for their support and custom. We look forward to protecting and growing your wealth in the next 15 years. The post IMF Warning Highlights Gold’s Importance As A Diversification and Happy Birthday GoldCore appeared first on GoldCore Gold Bullion Dealer.